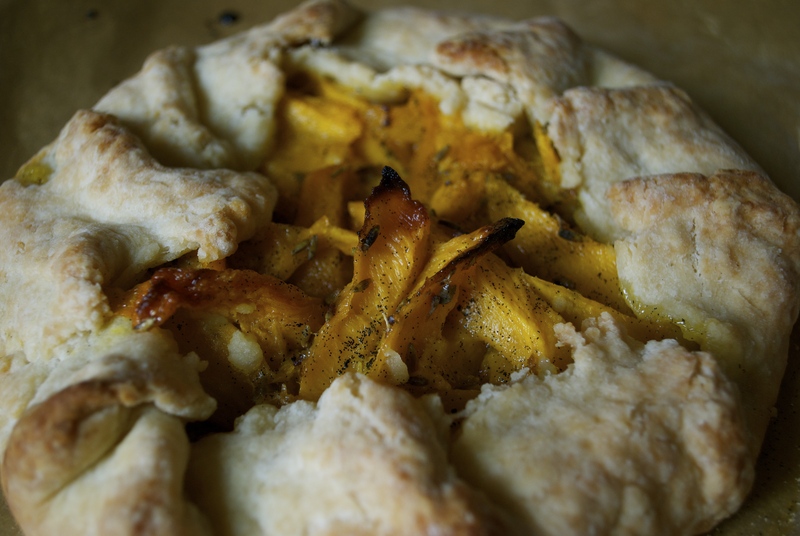 Mango Galette w/ Hawaiian Lavender & Vanilla. I woke up today in California and couldn’t help but feel a little sad. I just returned from the Aloha State and no matter how long I am there, it never feels like enough time. Don’t get me wrong; I love California, but every time I am in Hawaii, I feel more and more at home there. Although I did have a fair amount of business to attend to, this trip, like all of my others was also jam packed with delights. When I arrived, the sun was shining and hot. I stopped over at Wow Wow Lemonade first thing and picked up an ice cold, perfectly sweet star apple lemonade. From there, I began my journey over to the northwest side of the island. I stopped at one of my favorite grocery spots, Down to Earth, an entirely vegetarian market with a hot bar–similar to Whole Foods. To my delight, they had a pile of mangoes from Yee’s Orchard in Kihei. 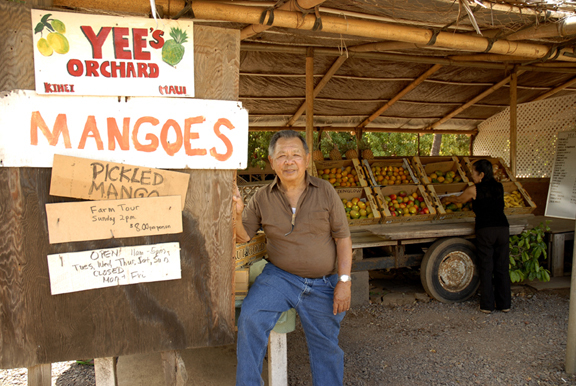 Yee’s has been growing mangoes for over 60 years. One of their specialties is the Golden Glow, a variety of mango known for its sweet, juicy, string-less flesh. I am not a huge mango person; the mangoes we get in SoCal are very hit and miss. Sometimes they are wonderfully tasty and other times they are chalky, stringy and dry. 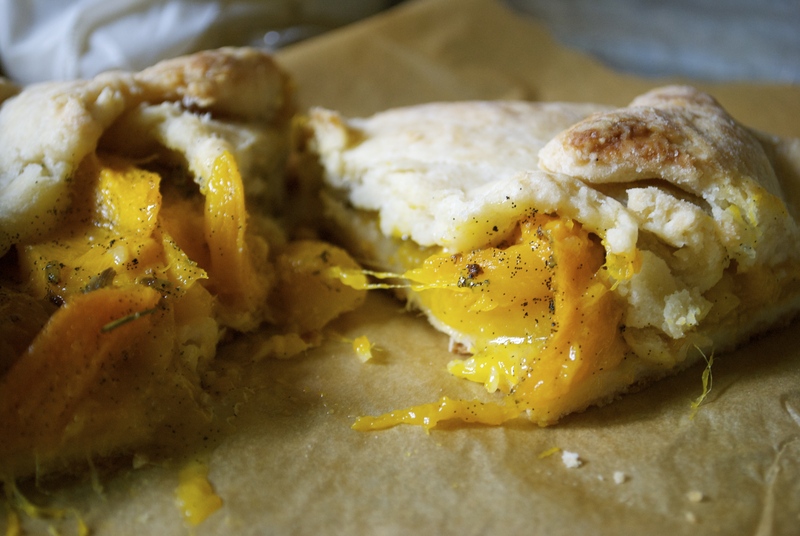 But with Yee’s, you can always count on the fruits being memorably delicious. I picked up several, not entirely sure what my intentions were. It was upon a quick 36 hour trip to the Big Island that it became clear. While on the Big Island, I had a chance to tour Hawaiian Vanilla Co. First, I sat down for a freshly prepared vanilla-inspired vegan lunch. If you’ve been following me on Instagram, you’ve seen the photos of the excellent dishes that I was served. During lunch, the owner of the farm, James Reddekopp spoke beautifully on how he started his farm and his love of vanilla. It was there, at the farm, that I knew what I wanted to do with my mangoes. Upon returning to Maui, I picked up some local Ali’i Kula culinary lavender and a dessert was born. 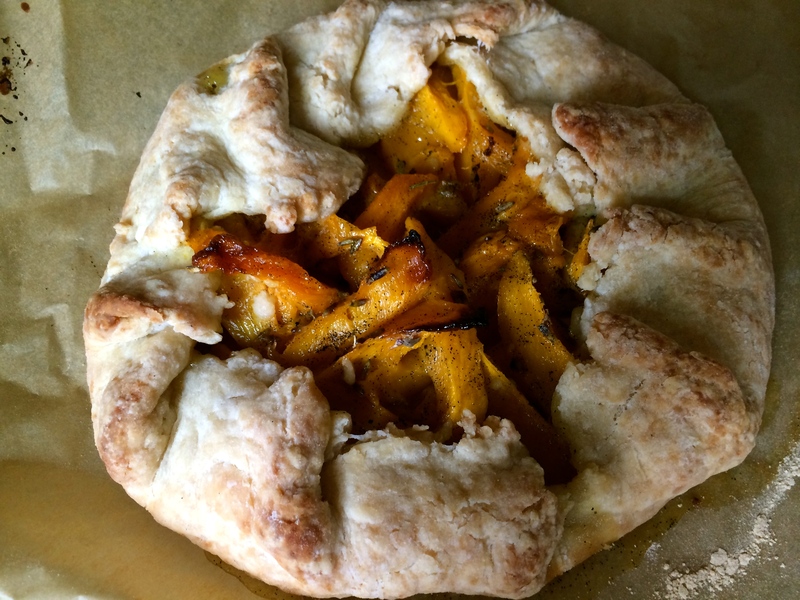 I made this Mango Galette w/ Hawaiian Lavender and Vanilla to bring over to my friend Ashley, who was kind enough to host me for a few days at her home in Makawao. This galette is lightly, yet appropriately sweet, so the little bits of lavender and flecks of vanilla bean are able to stand out, but not overpower. The flavors are perfect for breakfast, brunch or a light dessert. For the crust, combine the dry ingredients and whisk them together. Add the cold cubes of Earth Balance. Cut the Earth Balance into the dry ingredients with a pastry cutter/whisk until your mixture starts to resemble wet-ish sand. Add water, first 2 tbsp, then one tbsp at a time until a dough comes together. Do not over knead or mix. Once your dough has come together, grab some plastic wrap and press your dough down into a flat circle. Wrap in plastic wrap and refrigerate for at least one hour, if not longer. 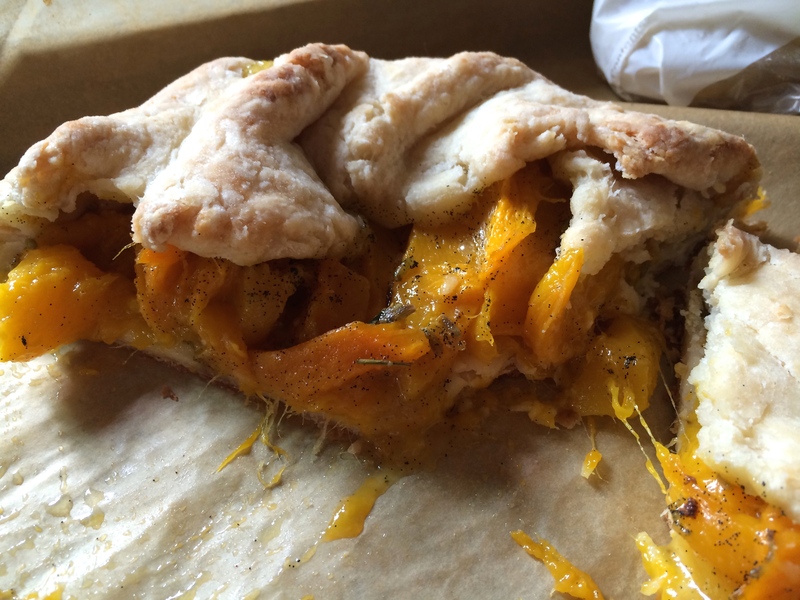 Preheat oven to 400°F and prep a baking sheet with a silpat or parchment paper. In a medium mixing bowl, throw in the mango slices. Add the sugar and lavender. Split the vanilla bean down the middle and use the knife to scrape out the seeds. Add the vanilla to the bowl. Once your dough is ready, lightly flour the prepped parchment or silpat on the baking sheet. Roll your dough out, into an 8-9″ circle on the baking sheet–this is so you won’t have to move your delicate dessert once it’s ready to bake. You can delicately arrange the mango slices for prettier presentation or do what I do (rustic style!) and just kind of add everything to the center of the disk of dough. Carefully fold up the edges of the galette, encasing the filling in the middle. Place the galette in the oven and bake for about 30 minutes. Welcome back! With the amount of time you spend over in Hawaii, that could be your 2nd home. 🙂 I always seem to eat mangoes as is before I even have a chance to make anything with them. I really should just get a case so I have enough to make the galette. It looks lovely. Do you think you will be moving there any time in the near future?